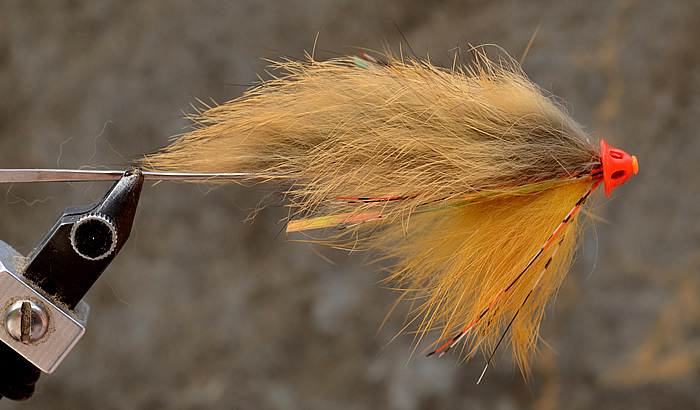 and moving back to my favourite method of fishing – spey casting streamers. Here is my rabbit tube fly “brown trout” imitation when I am searching for bigger fish. and a couple of different heads to disturb the rabbit, as it moves through the water.